Inexpensive personalized Weekly Planners on sale. We also supply blank (not imprinted) Weekly Planners at EQP (End Quantity Price). 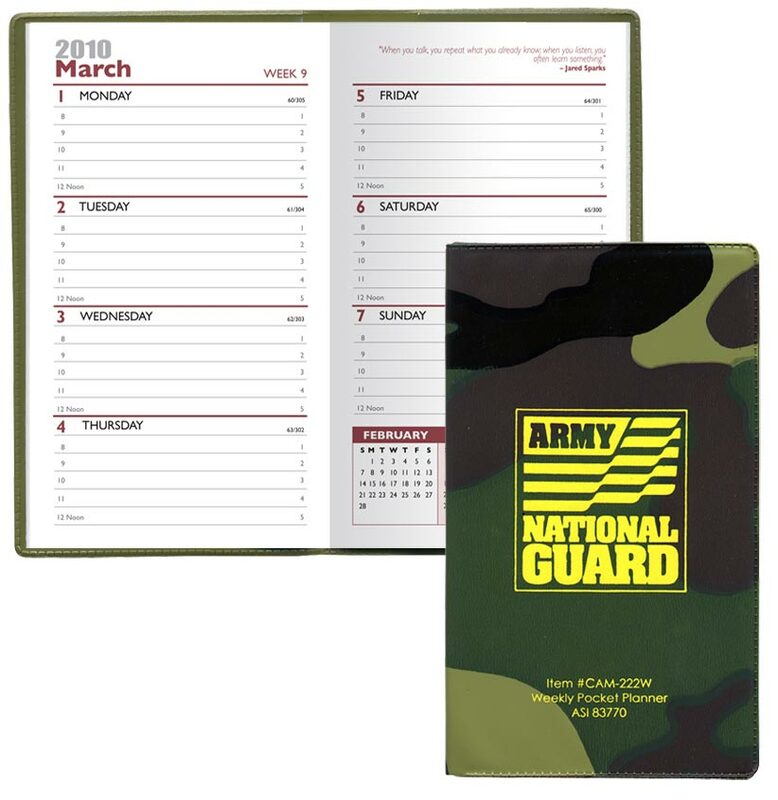 Lowest cost in USA and Canada wholesale for promotional Weekly Planners. American clients pay no taxes. Setup Charge: $50.00 per imprint color, only if logo is needed (No Setup Charge on Repeat Orders). This 128 page week at a glance format runs from January through December. Has pages for personal information, expense record, frequently called numbers and birthdays/anniversaries. Also includes 3 year reference calendar. Has an 8 page full color U.S atlas with city maps. Maximum Imprint Area: Standard imprints are up to 2-3/4" x 5"